Excel has always been an honorable member in Power BI, as one of the popular ways to bring data into Power BI. We are excited to announce that now you can use your existing Excel workbooks, with the features and formatting you have learned to use and love over the years, and create dashboard tiles from within an embedded Excel workbook in Power BI. Figure 1 Excel workbook viewed inside Power BI, with range B14:H39 selected containing a chart inside. The tiles are connected to the workbooks in OneDrive for Business, and are being refreshed automatically every few minutes. 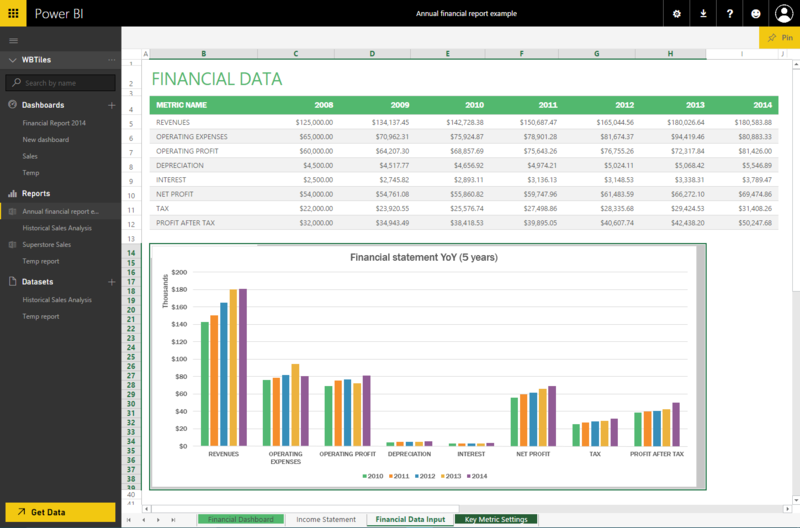 Furthermore, dashboards containing Excel tiles, as well as Excel workbooks themselves, can be added to organizational content packs for easy sharing with your colleagues. Go ahead and give it a try! 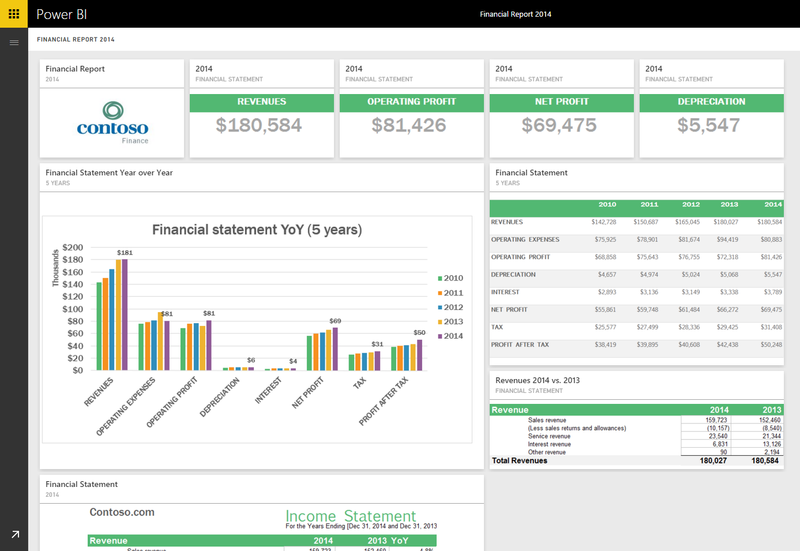 Create dashboards using your Excel workbooks with your favorite look & feel!